East Brisbane’s population is anticipated to grow at an impressive rate, following the neighbouring suburb of Woolloongabba which is projected to increase 32% by 2021. Young adults between the ages of 20-29 are East Brisbane’s leading age-bracket, making up 29.3% of the total population. These numbers show that East Brisbane is becoming the next in line of Brisbane areas to be adopted as the new hot spot for the young professional lifestyle. And The Wellington, a new $60 million boutique apartment tower currently under construction in East Brisbane, is in a prime position to cater to this emerging demographic. The Wellington marketing manager and TOTAL Property Group Managing Director Adrian Parsons said the apartment tower and retail precinct, which is due for completion in 2017, is set to meet the demand of this fast growing population. “East Brisbane is transforming into a cosmopolitan hub, with artesian coffee houses, independent fashion boutiques, and gourmet eateries popping up around The Wellington," he said. “While the young professional market in East Brisbane is driving demand for these lifestyle eateries and retailers, they also have the financial means to support and sustain them. An interesting fact is that in East Brisbane’s population the most common household income is in excess of $3000 a week. 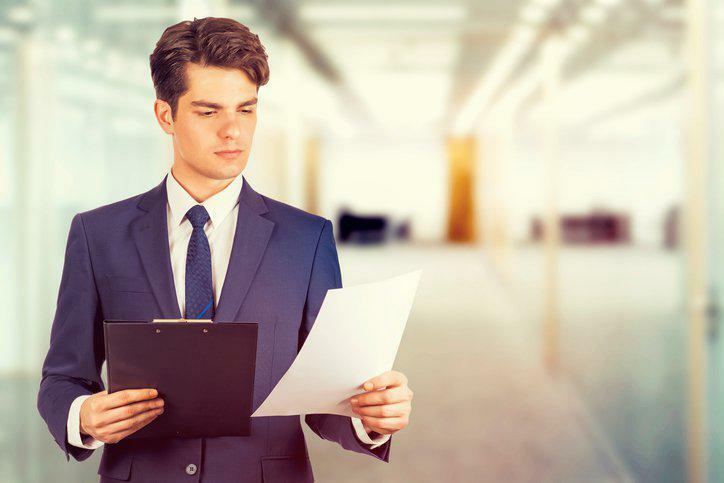 "The most popular occupation in East Brisbane is ‘professionals’ with over 32.3% of residents working in this area and a further 13% working in ‘management’. The prominence of young professionals in East Brisbane has seen the area evolve into a thriving contemporary lifestyle location in recent years. “The young professional population can really boost an area’s popularity and lifestyle appeal, we’ve seen it happen in areas like New Farm and West End, and now it’s East Brisbane’s turn.” Mr Parsons said. 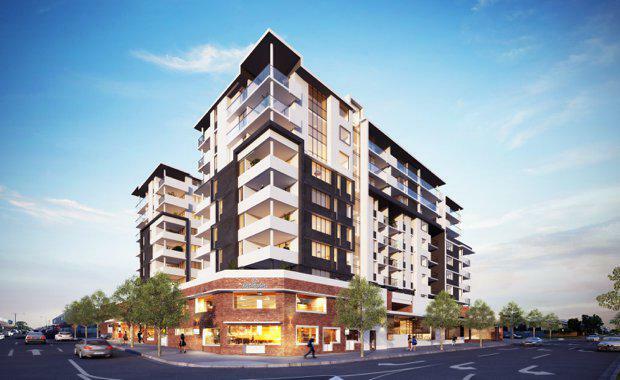 “The Wellington is designed to assimilate with East Brisbane’s growing culture, with contemporary design and facilities that benefit both residents and the greater community. Residents of The Wellington will experience a range of facilities including our rooftop pool area with views of Brisbane’s sweeping cityscape, and a second floor garden and barbecue area perfect for entertaining guests. “The finished project has been designed to incorporate plenty of light and green spaces in order to complement East Brisbane’s vibrant aesthetic, as such we have included a central atrium throughout the tower to provide an open environment,” Mr Parsons said. 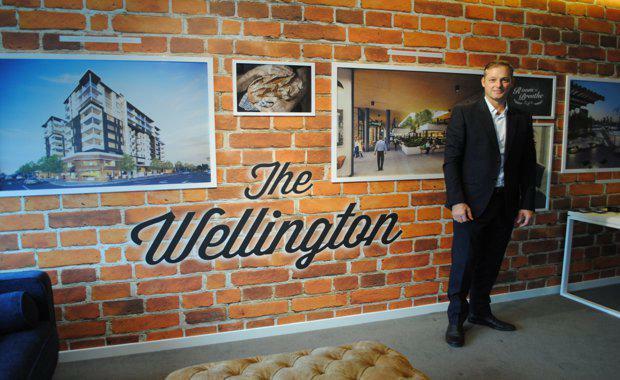 Mr Parsons says The Wellington has proven appeal within the young professional market. The Wellington’s one-bedroom and two-bedroom apartments are available in a variety of floorplans designed to offer contemporary living and are priced between $339,000 and $615,000. It will stand nine-storeys tall and include 127 spacious one-bedroom and two-bedroom apartments, complete with expansive recreational facilities and a ground floor specialty retail and dining precinct within 2.5km of the Brisbane CBD. The Wellington has recently begun basement level pouring and has brought out the big guns - a major construction crane to complete its current construction phase.